After taking a huge gamble with 1981's gamble of an album of Country & Western cover versions in "Almost Blue", Elvis Costello & The Attractions reverted to their trademark organ and bass-dominated sound for much of this album, released in late 1981. Many fans were pleased, not to say relieved. There is still some country though in "A Different Finger", but there are other styles too - a torch song sparse piano-drive ballad in "Shot With His Own Gun"; frantic blues in "Luxembourg"; "Get Happy!" - style soul in the addictive "Strict Time"; and a more typical Attractions sound in "Watch Your Step", "Clubland", "New Lace Sleeves" and the jaunty "Fish n Chip Paper". The duet with Squeeze's Glen Tilbrook, "From A Whisper To A Scream" is another enjoyable highlight. 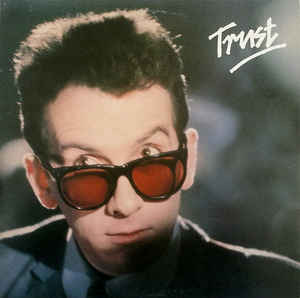 "Big Sister's Clothes" is a Costello classic and the rhythmic "Lover's Walk" has a quirky appeal. "White Knuckles" is dark and sombre beneath its typical Attractions backing. "Pretty Words" and "You'll Never Be A Man" both have killer hooks, the type of which Costello could trot out in his sleep by now. I don't want to have to use the awful reviewer's cliche of a "return to form", but it did seem as if the Costello of "This Year's Model", "Armed Forces" and "Get Happy!" was back, albeit with some progression into a slightly more mature style of composition being apparent. 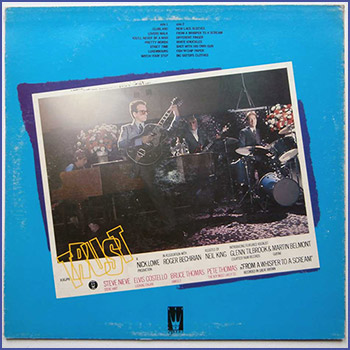 This album was something of a benchmark as Costello began to move slowly away from the constrictions of "new wave”.